I’m still enjoying zucchini. In the past, my zucchini has fizzled out by now. But not this year. Maybe it’s because of the newspaper I put down in the garden? I really don’t know. And what do you do with those jumbo zucchinis? Why bake with them. I’ve shared my blueberry zucchini recipe before. 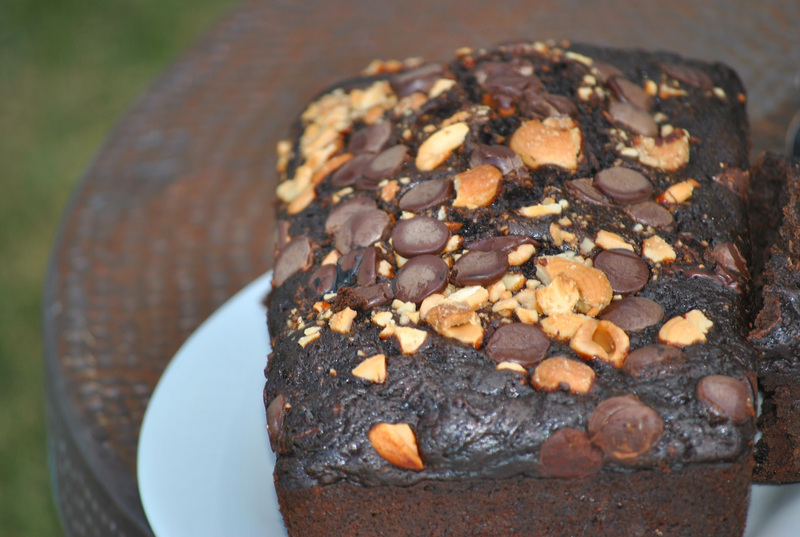 This time I found a wonderful chocolate zucchini bread that is out of this world. Meeshie loves it, and she knows there’s zucchini in it. She saw the shredded zucchini in the colander in the sink and asked what I was doing with it. I told her about this wonderful bread, and although she was skeptical, she has managed to each an entire loaf. 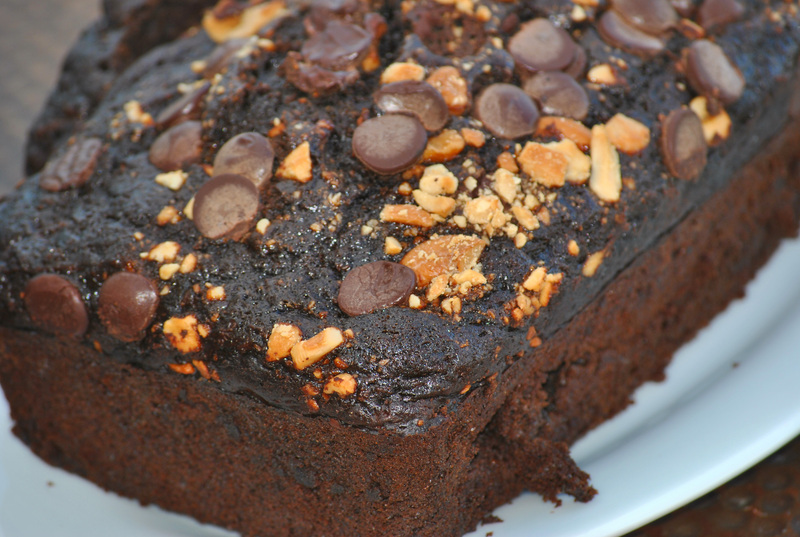 It’s not overly sweet, but the cocoa and extra chocolate chips give it a perfect balance. What I mean is that it tastes like chocolate. Sometimes chocolate things are just sweet without the flavor of chocolate. That’s not the case here. I say that because, although I like chocolate, I don’t LOVE it. I would not consider myself a chocoholic. I would consider myself a very particular chocolate eater, though. And once baked, you don’t see the shredded zucchini at all. I wish I had a picture of the bread sliced, but I made three loaves with my jumbo zucchini, and once it was sliced it was gone. I had this one loaf left only because it is a gift for one of my girlfriends. Preheat the oven to 350 and grease a loaf pan. In a large bowl, mix the eggs, honey, oil, sugar and vanilla until smooth. In a separate bowl, combine the salt, baking soda, baking powder, cocoa, and flour. Add the flour mixture to the egg mixture, mixing until well combined. Stir in the zucchini and 1/3 C of the bittersweet chocolate chips and all of the milk chocolate chips. Add the nuts, if using. Pour into the prepared loaf pan and sprinkle with the remaining 1/3 C bittersweet chocolate chips. You can also sprinkle a small amount of nuts on top, if desired. Bake for 65-75 minutes until done. A toothpick inserted in the center will come out clean when done. Remove from oven and let cool for 10-15 minutes before turning out of pan to continue cooling. Here’s the original recipe. Thank you King Arthur Flour! I know I’ve shared this recipe before, but it’s just so good. 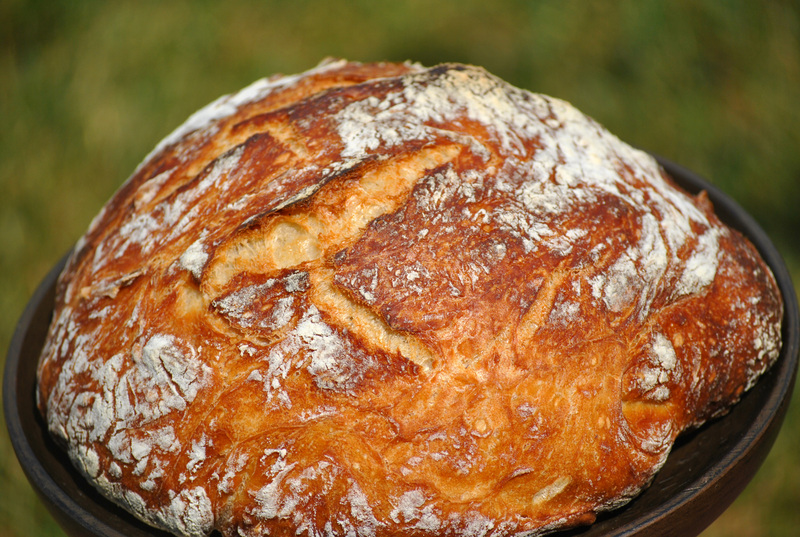 I made two batches of this bread last weekend. I like using the two raisins. It’s a visual thing as well as a taste thing. But if you don’t have golden raisins, don’t let that stop you. I know I’ve mentioned this before, but I like to soak my raisins. That simple step really adds a lot to the texture of the bread. Give it a try. 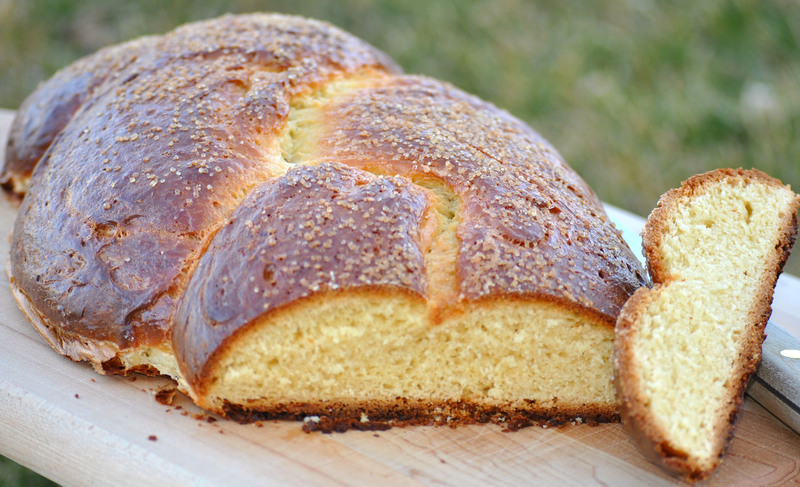 This bread would be perfect for Easter brunch or any time of year. It makes two large loaves that can easily be split, although I never seem to get that far. 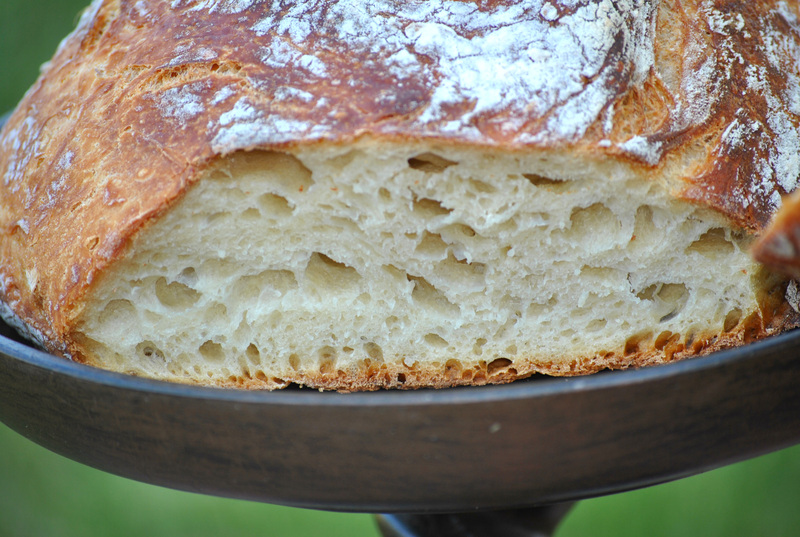 We eat the bread so quickly, but you can make four smaller loaves to share with friends. Serve this bread plain or with butter, but either way enjoy! I’m waiting for spring. I’m tired of snow. We haven’t had a lot compared to some years, but it’s March and I’m so over it. Last week I saw my daffodils popping up, and this week Meeshie had a snow day. Crazy! Mix the flour (I start with 6 C), sugar, baking powder, and baking soda together in a bowl. In another bowl, mix the buttermilk, eggs and melted butter together. Make a well in the center of the dry ingredients and pour the egg mixture in the center. Mix the ingredients with the dough hook on a stand mixer, if you have one. If not, mix the ingredients with a wooden spoon. Mix the ingredients together until well combined. Add the raisins and knead until fairly smooth. Turn out on floured countertop and continue to knead for another minute or two. If the dough is overly sticky, add more flour and continue kneading. Divide the dough into two parts. Place on the prepared cookie sheet and pat into two round loaves. With a butter knife, cut a cross about 1/2 inch deep on top of each loaf. Sprinkle with flour and bake for 45 to 50 minutes in a 350 degree oven until golden brown. I’m home today because Meeshie is not feeling well. This morning she told me that she didn’t feel well and I did what I normally do, I told her she had to go to school. I have a crazy week a head. But she insisted. She was actually not herself yesterday and didn’t sleep as well as she normally does. Plus, I knew I was staying home when I told her that she had to go back to bed this morning and she agreed. That meant no television, or electronic devices. But that’s okay. I’m keeping busy in the kitchen today while Meeshie rests. 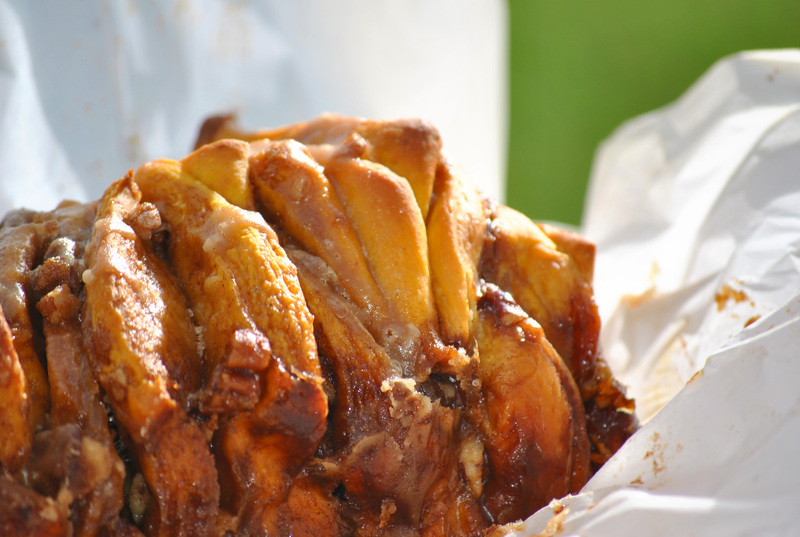 Plus, I’ve been wanting to share this great recipe. It’s Irish Soda Bread. 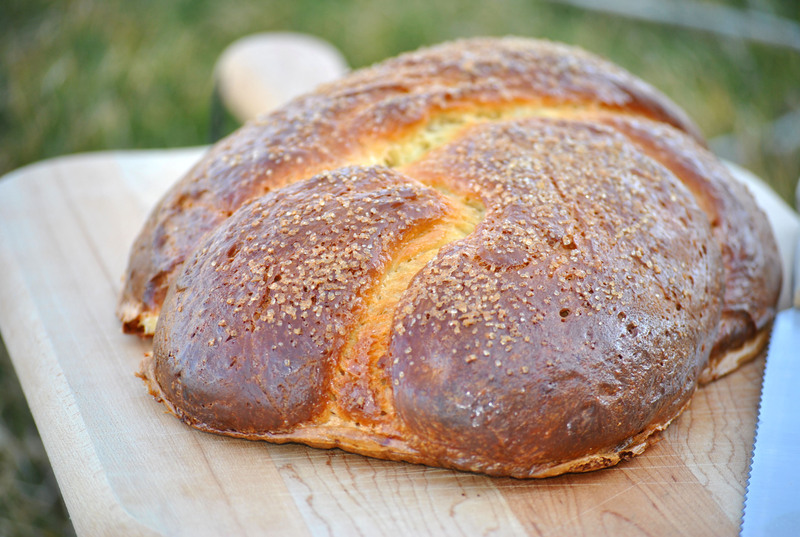 I know that in March this recipe is everywhere, but I love this bread all year round. 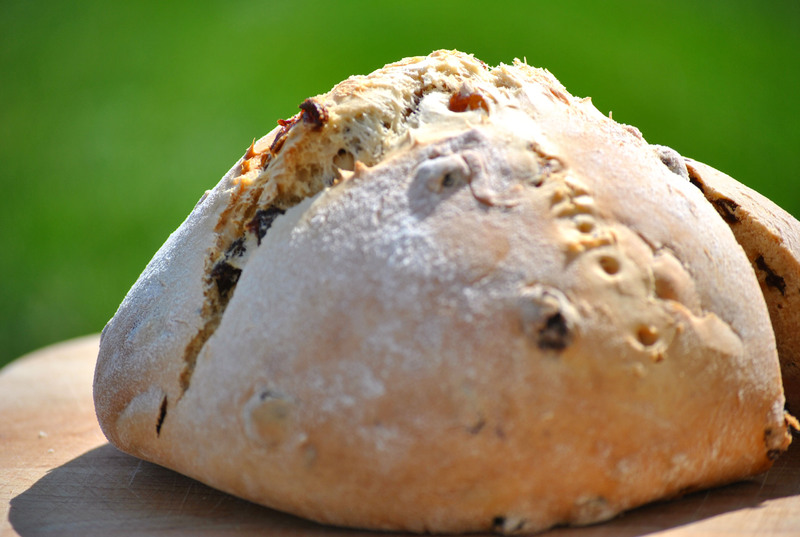 My good friend, Cathy makes a wonderful Irish Soda Bread. This recipe, though, is from a lady who works in my office. She said it’s an old family recipe and it makes two very large loaves. This recipe can easily be divided into four loaves for sharing. I’m a raisin soaker. 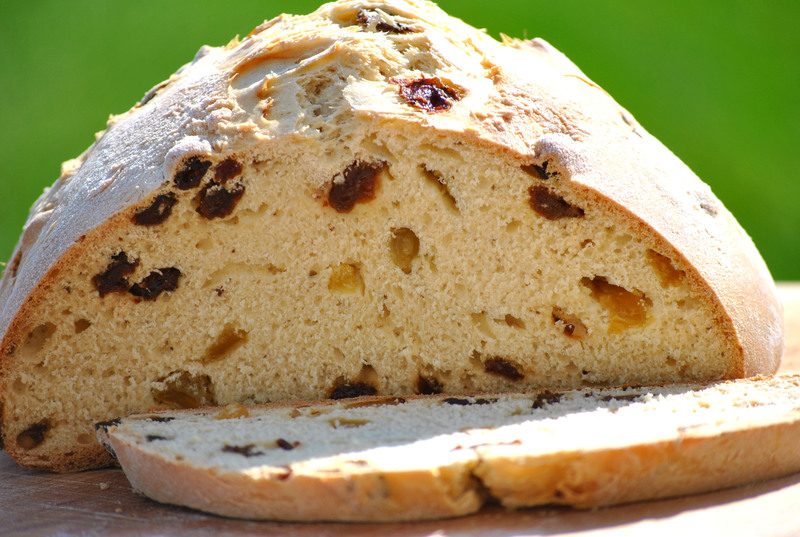 I know that some people like to soak raisins for Irish Soda Bread in whiskey. It does add extra goodness to the bread, but I actually don’t have a preference. Start with the six cups of flour, and adjust the dough accordingly. Irish Soda Bread is dense and should not be overly dry. Grease a large cookie sheet and set aside. Mix the flour, sugar, baking powder, and baking soda together in a bowl. In another bowl, mix the buttermilk, eggs and melted butter together. Make a well in the center of the dry ingredients and pour the egg mixture in the center. Mix the ingredients with the dough hook on a stand mixer, if you have one. If not, mix the ingredients with a wooden spoon. Mix the ingredients together until well combined. Add the raisins and knead until fairly smooth. Turn out on floured countertop and continue to knead for another minute or two. If the dough is overly sticky, add more flour and continue kneading. Divide the dough into two parts. Place on the prepared cookie sheet and pat into two round loaves. With a butter knife, cut a cross about 1/2 inch deep on top of each loaf. Sprinkle with flour and bake for 45 to 50 minutes in a 350 degree oven until golden brown. 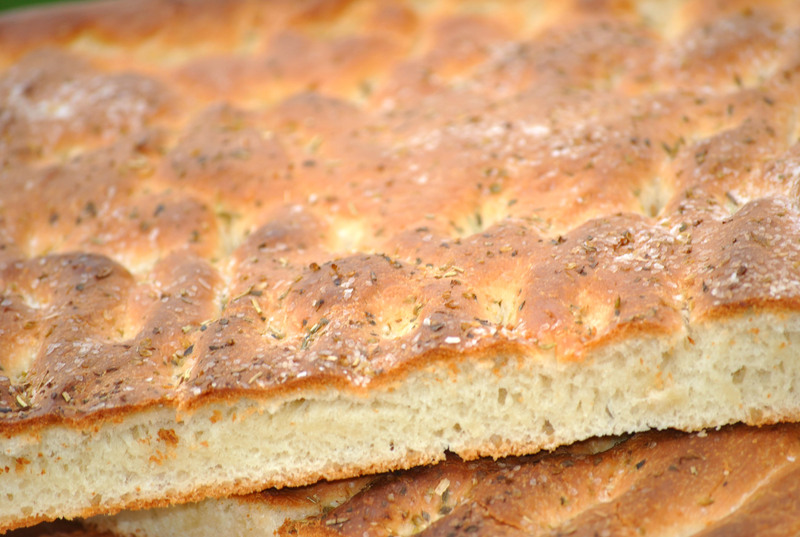 A while ago, I had a conversation with one of my blogging friends about focaccia. Allison told me that she had a wonderful focaccia recipe, but needed to unearth it. I had actually forgotten all about it until I saw the Sandwich King a few weeks ago. He made focaccia and that sent me on a quest. I know that I could have used his recipe, but he never made it on the show. What’s the point of having a cooking show on the Food Network if you aren’t actually going to cook on the show? Plus, I think his show is getting worse instead of better. I liked his show in the beginning, but now I just wish he would stop talking, and dancing, and singing and just make something. Sorry, back to the focaccia. I found a great recipe from Anne Burrell. I love her. I love how no-nonsense she is. 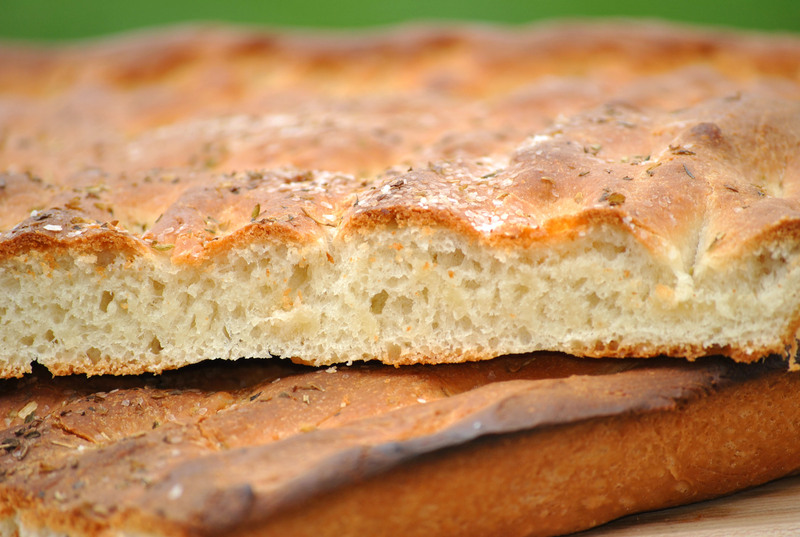 Her recipe is really simple, because that’s what focaccia is, a nice simple bread. Perfect for a sandwich, or not. The only thing I did differently with this recipe is I used some 00 flour. It’s used to make pasta, pizza dough and bread. I used a one cup of 00 flour and the rest was the AP flour. You can find this flour in Italian specialty shops. It’s really expensive but worth the price. I mean more expensive that King Arthur flour. My one pound bag cost as much as the five-pound one of King Arthur. Comparing it to regular flour, it’s easier to work with, yeast loves it and it’s airier. I think it has something to do with they way it’s milled. Combine the warm water, yeast and sugar in a small bowl, place in a warm place and allow to bubble for at least 15 minutes. In the bowl of a mixer fitted with a dough hook, combine the flour, 1 T salt, 1/2 C olive oil and the yeast mixture on low speed. Once the dough has come together, continue to mix for 5 to 6 minutes until it becomes smooth and soft. Add additional flour if the dough is really sticky and tacky. Transfer the dough to a clean, lightly floured surface, then knead it by hand one or two times. Coat the inside of the mixer bowl lightly with olive oil and return the dough to the bowl. Cover it with plastic wrap and put it in a warm place the dough has doubled in size, at least an hour. Coat a jelly roll pan with the remaining 1/2 C olive oil Put the dough onto the jelly roll pan and begin pressing it out to fit the pan. Turn the dough over to coat the other side with the olive oil. Continue to stretch the dough to fit the pan. As you are doing so, spread your fingers out and make finger holes all the way through the dough to give it a rustic look. Cover and allow the dough to rest until it has doubled in size, about an hour. Liberally sprinkle the top of the dough with salt, oregano, rosemary and thyme. Bake in a 425 degree oven for 25 to 30 minutes, until golden brown. You are currently browsing the archives for the Breads category.